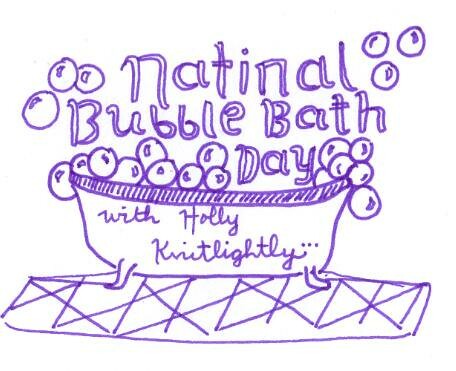 Holly Knitlightly: Bubble Bath Day! 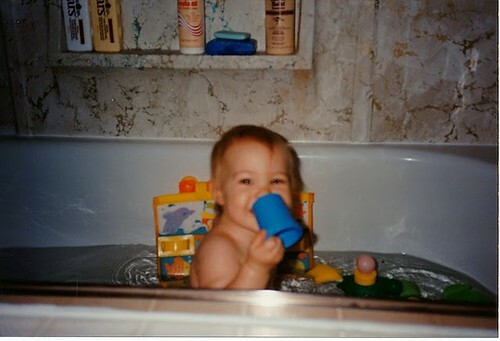 Happy Bubble Bath Day! The lovely Janel from Run With Scissors drew this image for me! She has taught a bunch of awesome journal classes, be sure to check out her etsy shop to see some of her artwork or to sign up for one of her classes! 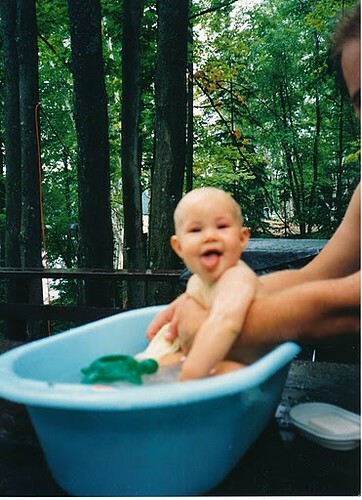 Hahaha me having a bath years ago at my cottage. Today is also Brianna's birthday! She contacted me about helping out with doing some drawings for my project, and I can't wait to share the photos with you guys! She picked some fun days to do. Be sure to check out her blog & get to know a bit more about her, and wish her a happy birthday while you're there! 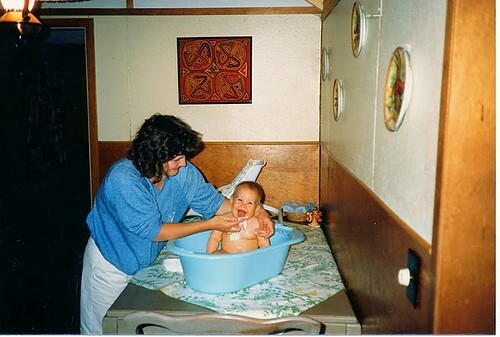 I hope you have a wonderful birthday Brianna, and pamper yourself with a nice bubble bath! Haha. Maybe with some of these Lush bath bombs? Avobath Bomb - Sharp citrus refresher that grabs you by the nose and sends you rocketing into the day. This bright green bomb turns the water into a shimmering green haze. As you inhale the invigorating fragrance, you'll find yourself ready to take on the world. Dragon's Egg - As you bathe in the whirlpool of vibrant, fiery colour and inhale the refreshing sherbet scent of lemon and bergamot, you'll feel like you're up and away on the back of your own dragon. Citrus oils are known for their invigorating effect on the mind, and Dragon's Egg is no exception! Drop one of these baby dragons in the bath for a serious wake-up call on groggy mornings or before evenings out. Fizzbanger - One bath with this bomb and you'll fall in love with the fantastically colourful swirls and the delectable apple cinnamon scent, courtesy of our ‘B' Love fragrance. Fizzbanger's scent changes right before your nose, from the scent of sweet apples to spicy cinnamon toffee. After all, what's love without a little mystery? The colour will change again and again, from yellow to blue to deep green. Vanilla Fountain Bath - Indulging in a Vanilla Fountain creates an eruption of fragrance and makes your sweet tooth tingle. It also has the added benefit of moisturizing, too, so your skin will feel great after you depart the vanilla waters. Have you guys tried any Lush products? The closest Lush store to me is in Toronto, but every time I'm there I try and stop in and grab some stuff. Everything smells sooo good... I could spend so much time just smelling all of the different items. Let me know if you have tried anything & what you thought! Give me some suggestions for what to try. OH! Today is also my man David Bowie's birthday!!! Hahaha. 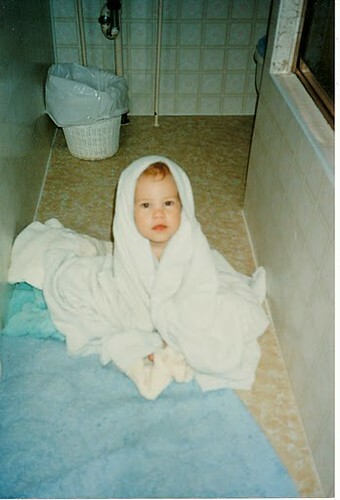 Hope you all have a great Bubble Bath Day!! Happy Bubble Bath Day! Haha. I can't remember the last time I took a bubble bath. They never end up as relaxing and glamorous as everyone else says they are when I do them. I gave up trying a long time ago. mmmmm I love bubble baths. Happy Bubble Bath Day! I hope you enjoyed a nice hot bath! I started a company called Bath Cocktails (you can find them on etsy) you might also like them! I am in love with LUSH, I swear, I should get a job there. I am obsessed with bath bombs. I got two gift sets for my birthday so I am set for the next couple of months. I think I may be the only adult who still loves to take baths. My favorite bath bombs are Avobath and Big Blue.